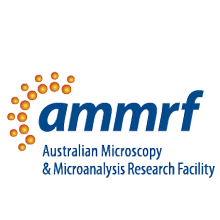 The AMMRF, under its new identity as Microscopy Australia, recently launched its Stories and Structures – New Connections exhibition at the Powerhouse Museum in Sydney. 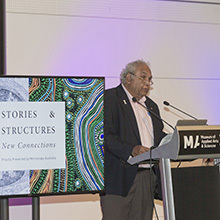 Opened by Prof. Tom Calma, Co-chair of Reconciliation Australia, this unique and innovative new exhibition brings together microscopy and Indigenous art. Through visual story-telling, it aims to engage the public, especially Aboriginal and Torres Strait Islander youth, with science. The exhibition offers new perspectives on Indigenous culture to non-Indigenous Australians. 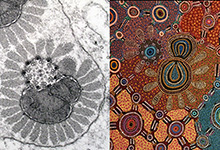 Misty Jenkins, from the Gunditjmara people, a cellular immunologist at the Walter and Eliza Hall Institute. She has a passion for Indigenous health and encouraging more Indigenous youth to take up careers in science. Bruce Pascoe, from the Bunurong clan, award-winning author of the popular and influential book Dark Emu, which challenges the idea that pre-colonial Australian Aboriginal people were hunter-gatherers. 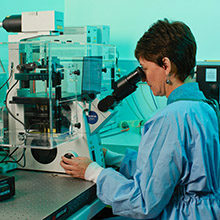 Stories and Structures has been exhibited in Sydney at 107 Projects and the Powerhouse Museum cafe. Next on the schedule are two International Convention Centre events – IMC19 and the Healing Our Spirit Worldwide Gathering. Stories and Structures will tour regional and urban Australia over the coming years to maximise opportunities for engagement, aligning with major events along the way. Get a taste of the exhibition online at: micro.org.au/storiesandstructures, and keep up to date on Facebook: AMMRFengagement.